Are you shopping for the latest football shirt, shorts and socks for the Portugal national team? If the answer is Yes, then you are in the right place. Here in the Portugal football kit shop at Soccer Box you can order the latest jersey, shorts, socks, kit and accessories for the Portuguese national football team. We are supplied by Nike, guaranteeing that you will get official merchandise. We stock junior and adult sizes, as well as the great value official kid’s kits for younger fans. So, whatever you are looking for we are sure we can help. With fast worldwide delivery options place your order online today and be wearing your new Portugal kit soon. 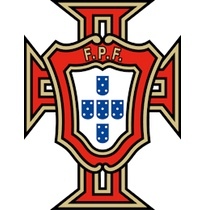 The Portuguese Football Federation (FPF) has had a long-term relationship with American sportswear brand, Nike. In fact, the infamous Nike Swoosh has adorned the Portugal kits since 1997. And, in 2017, twenty years into their relationship, the FPF and Nike announced an extension to their agreement until 2024. Nike is well known for their beautifully designed football shirts, that incorporate traditional colour schemes with team heritage and a modern twist, and their take on the Portugal jerseys, shorts and socks over recent years has inspired some fantastic kits. Of course, the Portugal home kit with its vibrant red and green colour theme is the most popular of the team’s kits and you can shop for yours here at Soccer Box. We also stock the away and training kits alongside a selection of official Nike accessories. There is a Portugal product perfect for every soccer fan and budget. Unlike club teams, the Portugal national team tend to have a new football kit approximately every two years. You will likely notice new kits being launched in the run-up to major tournaments including the European Championships and FIFA World Cup. Sign up to our newsletter if you’d like alerts for new kit launches straight into your inbox. Or take a look at our blog where you will also find posts detailing the new shirt, short and socks combinations when they arrive. Why Choose a Portugal Shirt? In recent years the Portuguese national football team has really upped their game, catapulting themselves into the spotlight, and scoring some major successes. The result of this is an increase in supporters not just within Portugal but around the globe. This has made the Portugal football shirt more desirable, they are selling fast, so order yours today to avoid disappointment. As can be seen, since 2002 the Portugal jersey has featured in every World Cup final, the team has not yet been crowned World Champions, but they are now seen as a strong contender. Luis Figo – Appears on both the most-capped and highest-scorer lists. A midfielder he made 127 appearances and scored 32 goals between 1991 and 2006. Nono Gomes – Sported the Portugal shirt between 1996 and 2011. He is the 5thhighest goal scorer to date with 29 and also boasts the accolade for most goals scored in a Euro’s tournament to date, with 4 in 2000. Nani – Still an active member of the Portugal squad he made his debut in 2006 but, did not play in the 2018 World Cup. Nani has scored 24 goals in an impressive 112 appearances up to mid-2017. Cristiano Ronaldo – Of course, no list relating to Portugal players would be complete without Cristiano Ronaldo who has donned the number 7 jersey since 2003. He tops both the most capped and most goals scored lists with 154 and 85 respectively. Arguably, it has been the influence, skill and tenacity of Cristiano Ronaldo that has catapulted the Portugal team to success in recent years and has made the shirts particularly popular with junior football fans around the globe. Ronaldo is idolised by kids and adults, and his natural on-pitch talent has made him a worldwide sensation at both club and national level. You can of course purchase your Portugal shirt, for kids or adults, here at Soccer Box with official Ronaldo 7 lettering. The Portugal football kit is one of the most in-demand football kits right now at Soccer Box. Whether you are shopping youth or adult sizes, home, away or training kit, shirts, shorts or socks we have got you covered. We only stock the official Nike merchandise, but supplies are limited so avoid disappointment and place your order online today. Our shopping cart uses secure Sagepay payment processing, our customer care team are on hand to help during business hours should you need it, and you can read reviews from our satisfied customers here. Place your order today and receive your Portugal football kit soon.